Does one need to choose between Provident Fund, Superannuation & NPS? Doesn't it seem rather quaint that despite the National Pension Scheme being open to public for almost eight years, investors have only started showing interest in it very recently? 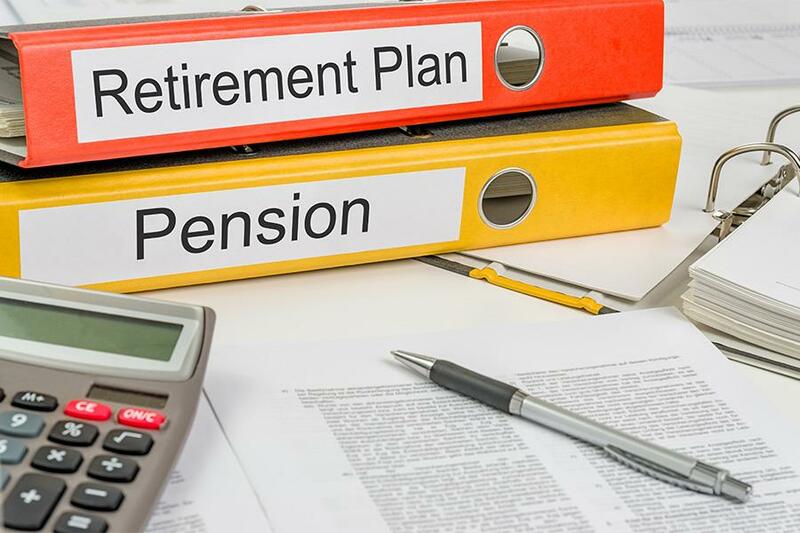 Two years ago, when the government announced additional tax benefit on it, NPS became an attractive scheme vis-à-vis other retirement products. With the scheme gaining so much momentum, the buzz has now moved to the portability of members' accumulation from Provident Fund/Superannuation to NPS. Pursuant to the announcement made by Finance Minister in the Union Budget 2016, there were certain amendments made in The Income Tax act 1961 with effect from 1st April 2017. The said amendments provide employees exemption from taxation for one time portability from approved Provident Fund / Superannuation to employees individual NPS account. To break it down further, the transferred amount will not be treated either as an income in the hands of the employee or as a contribution in the current year. Hence, no tax benefit can be availed. PFRDA in its circular dated 6th March has laid down the process an individual employee can follow for such onetime transfers. Provident Fund offers tax-free withdrawal of lump sum accrued corpus on retirement; provides a modest return regulated by EPFO & Labour Ministry. Essentially, it has embedded benefit of life cover through EDLI & Pension through EPS 95. Employer Superannuation schemes are guided by the investment norms prescribed by the Income Tax. If one choses to fund the scheme with an Insurance company, the choice of products available are products that invest purely in Debt funds or with a debt – equity mix providing decent return on investments. NPS offers a choice to the subscriber either with active participation or by auto choices (Life cycle funds) providing a healthy returns. Can they co-exist with each other or does one outdo the others’ need? 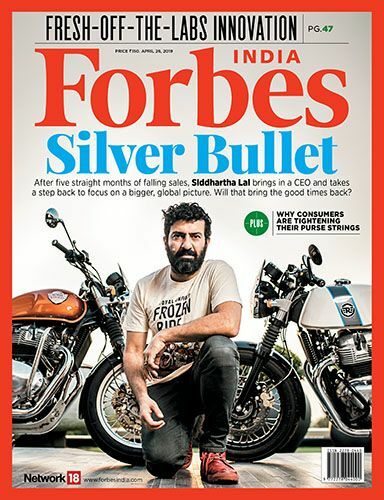 While the answer is that each of these instruments serves its own purpose, it is important to understand how each one is a catalyst in the process of preserving more wealth for retirement and hence, ensures a decent income stream. It is not only important to remove such misnomers from the employees’ minds but also a responsibility of the employers to educate their employees about the need for building such corpus for post-retirement income. Provision of One time transfer A key point to understand here is that the provident fund is governed by the EPF act. Employees covered under mandatory provident fund may not be able to transfer it unless the EPF act is amended to allow such transfers. Even if the employer would like to weigh options of allowing one time transfer of PF/Superannuation, the Trustees will have to examine the provisions of the Trust Deed read with provisions of the Income Tax Act, 1961. Given that the Income Tax provisions for Provident Fund and Superannuation are governed by Part A & Part B of the Fourth schedule respectively, the employer will have to amend the provisions in their Trust Deed & Rules allowing Trustees for such transfers into an NPS account. To counter multiplicity of capitalizing woes and hassle of investing in multitude of instruments, it is important that the employee understands what suits her the best. The key takeaway is that now an employee has a choice to move funds weighing his individual circumstances and take advantage to increase financial productivity. In jargon, options improve favourable selection. Every employer can help employees make their salaries tax efficient. As per suggestive evidence, all these schemes present excellent dual opportunity by giving them a choice to contribute to these retirement benefits: to save for retirement and yet help them make their salary tax efficient. In all, if an employer has an existing Superannuation scheme, it is good to continue with it. Both Superannuation & NPS can co-exist offering an opportunity to save higher tax / & make salary tax efficient. Under Corporate model of NPS - Employer’s contribution up to 10% of basic salary out of the purview of taxable income. 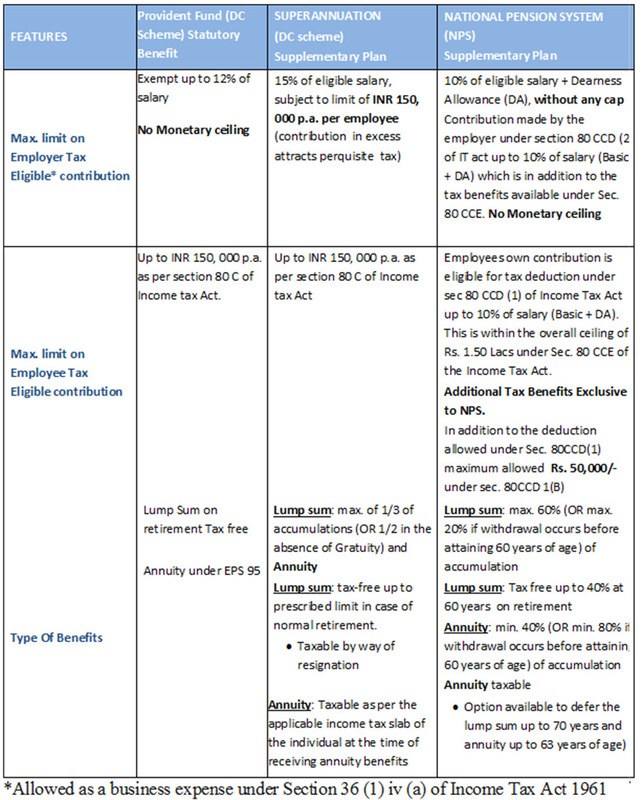 In summary, employees may exercise the option of portability of Superannuation to NPS during the final year of retirement whereby they have the advantage of 40% of commutation of the two accumulations put together and secure one single annuity pay out, besides 100% tax free withdrawal of accrued Provident Fund.